17:00 SHOOTING - Women's 50m Rifle 3 Positions - Final Dvoršak ? 17:05 JUDO - Women's -78 kg - Quarterfinal Velenšek ? 19:15 CANOE SLALOM - Men's C2 - Final Božič / Taljat ? 20:00 CANOE SLALOM - Women's K1 - Final Kragelj ? 21:00 JUDO - Women's -78 kg - Semifinal Velenšek ? 21:40 JUDO - Women's -78 kg - Final Velenšek ? Slovenia won yesterday another medal, this time bronze, in Judo, with Ana Velenšek. This means Rio 2016 are now third Games in a row with our country winning full sweep of medals. 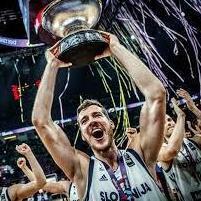 * Slovenia has already qualified for Quarterfinals.